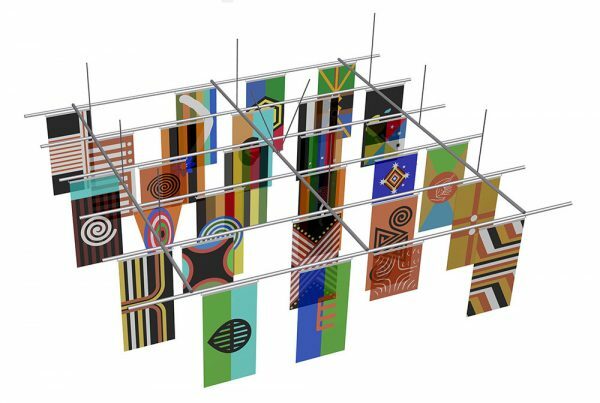 Kamilaroi artist Archie Moore was selected from a shortlist of eight invited artists for this major public art commission for the Sydney Airport T1 International Terminal. 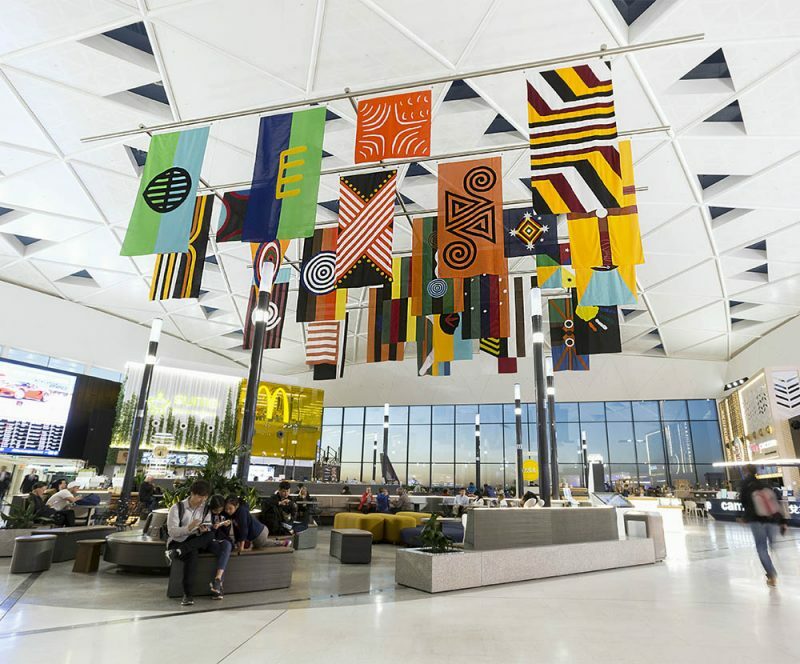 The commission was the first partnership between Sydney Airport and the Museum of Contemporary Art Australia. 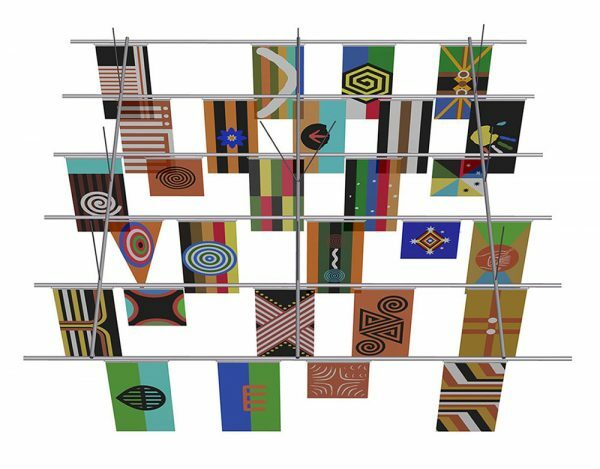 The artist created the artwork in response to 19th-century anthropologist, RH Mathews’ problematic map of 1900 which identified 28 Aboriginal ‘nations’. Moore’s 28 corresponding flag designs explore the intersection between identity, nationhood, falsehoods and authenticity. Matthew Bennett assisted the project team in the design of the steel hanging structure and the placement of the artwork within the 17 metre high departure hall. A detailed 3D CAD model was developed to consider a range of issues including sight lines to the artwork, connections between the proposed artwork and the existing diagrid structure, relationships to the existing tenancies, and the clearances required to maintain service operation and ongoing maintenance. A series of 3D views were produced for discussion and review with the team members and stakeholders. The project was designed to be assembled on site from prefabricated elements to minimise installation time within the secured airside zone.